*I won a free copy of this book in a giveaway and I voluntarily chose to write an honest review for it. Book three in the Haven Realm series. If you are a fan of the Beauty and the Beast fairy tale then you really have to read this book! I am a huge fan so the take on it in this one was just fantastic. We start with Bee a witch that is hired to break a magical curse on a prince in another realm. I love how she gets her herbs from Scarlet (book 1) as it ties the stories together for me though each works as a stand alone. 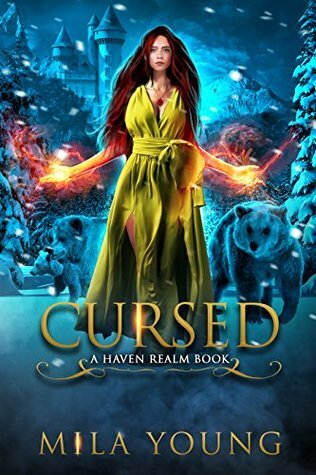 As Bee travels to her new job she is surrounded by some awesome bear shifters and then we get to the curse which is an odd take on the story but man does it make things interesting. Her attempt to break it is just makes the story even better. The relationship development with the guys had me hooked and by the end of the story I was all in loving every minute of it. If you enjoy a fairy tale retelling with an RH twist then you really have to try this book. I loved every minute of it (including the awesome library scene) and give it 5/5 stars.